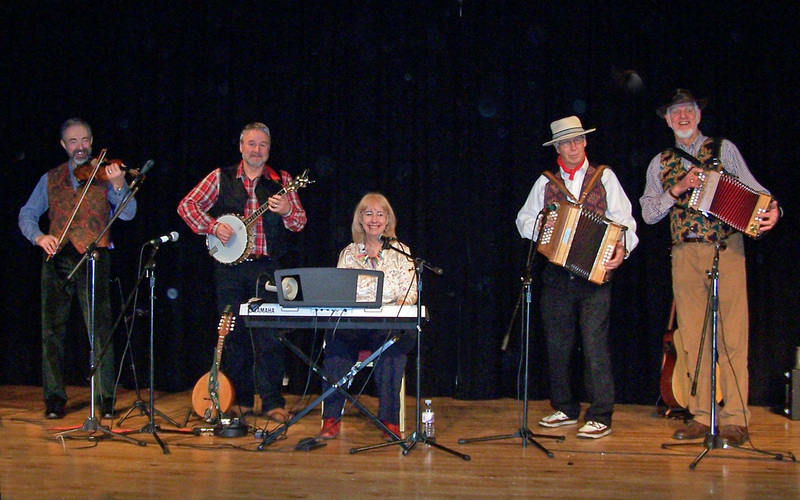 Puzzlejug play traditional music of Gloucestershire and the Cotswolds. They are Gwilym and Carol Davies, Colin Roffe, Tony Poulter and Geoff Ramshaw. They entertain you with a great variety of instruments, from keyboard to melodeon, from mandolin to jaws harp. They are regular performers in the pubs, clubs and festivals of Western England and have performed on local radio. Some of their songs were collected by Gwilym from local people, and the band continues the tradition for a modern audience.